CAUTION!!!! 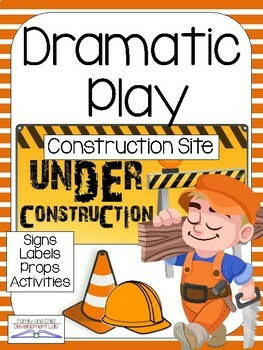 How to make Dramatic Play a Construction Site? Many preschool and kindergarten classrooms teach community helpers at some point in the year and that often includes construction workers. 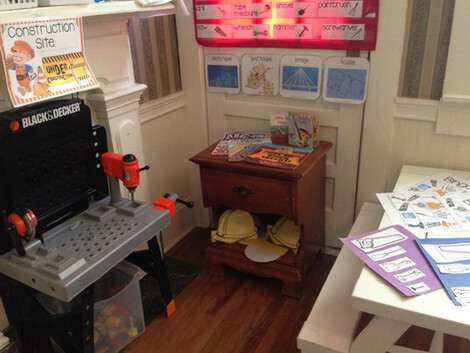 So why not set up a construction site in your dramatic play center that incorporates reading, writing, math, language, engineering and much more. The past week my preschoolers have been playing in a construction zone for their dramatic play center. It has been so fun to watch them create, imagine, and discuss their play. They give each other roles, dress up, think of a building project, draw out their building plans, and of course build with tools and blocks. I wanted to share with other teachers how they can set up a construction site dramatic play in their classroom and watch their kids learn. To start I would suggest purchasing my "Construction Site Dramatic Play". 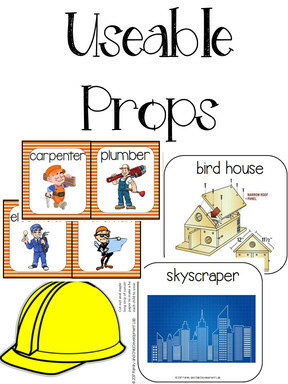 This center includes printable props to decorate the dramatic play center, printable usable props to help children imagine and play, activity directions to add authenticity to the center, don’t forget props and sheets to integrate literacy and math into the center. First, the printable props to decorate your center. 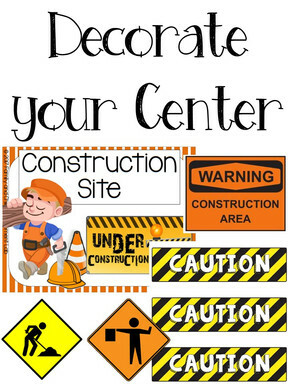 Decorating the center can help children imagine that they are really in the construction zone and they can use the signs and posters in their role playing. Second, useable props can be so expensive to buy. However, I try to save money by including printable props that are both useable and cheap. These include construction hats for the children to wear, character tags to assign different roles, and blue prints that can be put in a design book or posted on the wall. Children can choose a blueprint and try to recreate the structure on their own. This product also includes direction for two activities that can enhance the center and provide authenticity. These activities integrate multiple areas of the curriculum into one activity. The activities are a hammering activity and creating a popsicle building. These are great for having in the center but can also be used in teaching whole and small group or in another center such as art or sensory table. 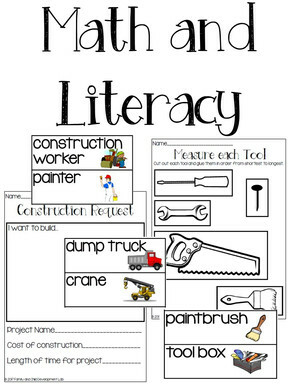 Finally, I always like to include literacy and math integration into my dramatic play centers so there is a tool measurement sheet where students can compare the lengths of different construction tools and a project request sheet students can fill out as they request a specific construction job to be done. Each dramatic play center also includes a word wall or labels to encourage vocabulary use and acquisition. 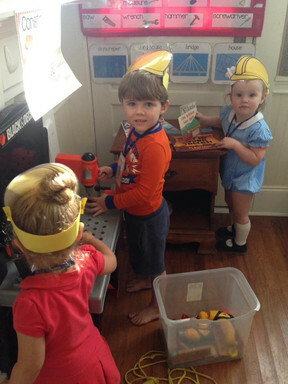 I hope you have enjoyed this glimpse into the “construction site dramatic play center” and will be able to use what you’ve learned to set up your own dramatic play center. I would LOVE to hear how you’ve used the center materials and see pictures from your classrooms. You can leave pictures and feedback in the comments below. Enjoy!!! !